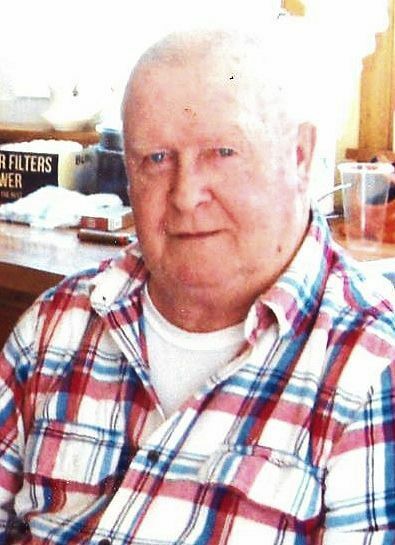 FRANKFORT – Stewart Leroy Parker, 75, went to be with His Lord April 8, 2018, surrounded by his loved ones. He was born November 2, 1942, in Frankfort, the son of George H. & Arlene (Hustus) Parker. At an early age, Stewart worked with his father in the woods. He then went on to work construction for over 30 years before retiring. Stewart was a family man and enjoyed spending time with them. He also enjoyed woodworking and was a perfectionist with the things he made. Stewart, along with his wife, Lynda, were members of the Stockton Springs Community Church. In addition to his parents, he was predeceased by a brother, Alvin Parker; and a sister, Gertrude Clewley. Surviving are his wife of 57 years, Lynda (Cole) Parker, sons, Stewart Parker and wife, Catherine of Prospect, Steven Parker and wife, Tracy of Winterport; a daughter, Laurie Knight and husband, Mark of Frankfort; 9 grandchildren and their spouses; 18 great-grandchildren; brothers, Charlie Parker and wife, Kathryn of Florida, Philip Parker of Frankfort, George Parker and wife, Patty of Winterport; sisters, Josephine Seekins of Frankfort, Madeline Sullivan of Belfast, Ruth Puglisi of Massachusetts, Gloria Dunroe of Hampden, Polly Cole and husband, Reggie of Frankfort; a special aunt, Doris Scammon; and many family and friends. The family would like to extend a special thanks to the entire staff of VNA Home Health Hospice for the care and compassion they showed towards Stewart during his last few months.